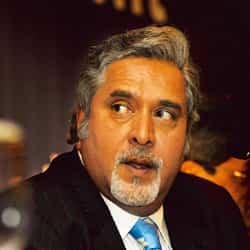 Mumbai: Vijay Mallya’s United Spirits Ltd, India’s largest liquor company by sales, said on Monday that it proposed to merge Tamil Nadu-based brewer and long-time contract manufacturer Balaji Distilleries Ltd with itself in an all-stock transaction. United Sprits, at a board meeting held on Saturday, approved the merger based on an independent valuation of the two firms. The merger will take effect from 1 April 2009. Shares of Balaji Distilleries closed at Rs25.80 on the Bombay Stock Exchange, losing 2.46%, while United Spirts stock fell 3.14% to Rs819.50. The exchange’s bellwether Sensitive index, or Sensex, declined 2.78% to 8,839.87. “This merger would derisk United Spirits’ earnings and give the group a strategic advantage to consolidate its leadership position in Tamil Nadu," a critical and growing market, UB Group chairman Mallya said. UB Group currently sells about 12 million cases each of spirits and beer in Tamil Nadu, and sales have been growing at around 15% a year. Tamil Nadu, where UB enjoys about 51% market share, accounts for about 15% of the group’s domestic sales. According to a person familiar with the development and who didn’t want to be identified, the merger is significant for a proposed strategic partnership the UB Group is discussing with Diageo India Pvt. Ltd, the Indian arm of the world’s largest liquor company, Diageo Plc. Diageo India managing director Asif Adil had last month told Mint that the company plans to have a bottling base in Tamil Nadu for at least three of its bottled-in-India brands in the whisky and vodka segments.